During her eight years at the White House, Tina served as chief of staff to First Lady Michelle Obama, special assistant to President Barack Obama, and the executive director of the Council on Women and Girls, leading the first-ever White House Summit on Working Families and the first-ever United State of Women Summit. A high-powered lawyer, Tina's career accomplishments have established her as a powerful advocate for gender equality. Tina is actively involved with the Time's Up initiative, where 300 prominent women in the entertainment world have banded together to create a legal defense fund which aims to support women dealing with sexual harassment across all industries. 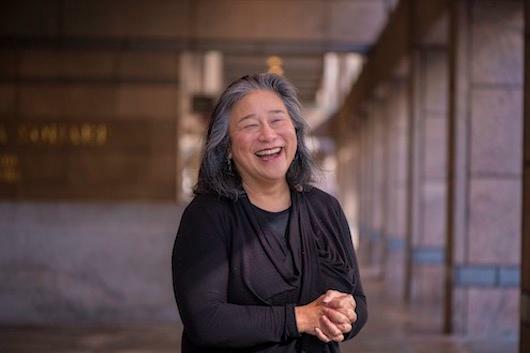 Ms. Tchen is spearheading the $13.7 million (with a goal to raise $15 million) Time's Up Legal Defense Fund, which is administered by the National Women's Law Center's Legal Network for Gender Equity, and will connect female victims of sexual harassment with lawyers. A passionate champion for women's and children's issues, including women in positions of leadership, Tina shares her unique perspective and insights on workforce diversity and inclusion, breaking through male-dominated industries, and ending campus assault. Energetic, authentic and engaging on stage, she empowers the next generation to raise their voices and take action now to secure a better tomorrow for women and minorities across the country and world.